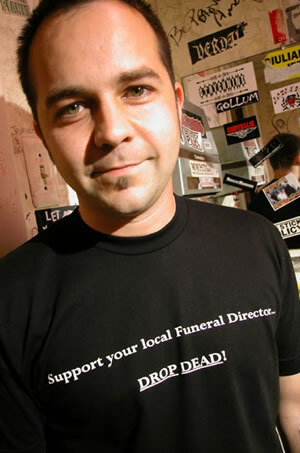 Support your local funeral Director...DROP DEAD! Shirt is a black short-sleeve. 100% fine quality cotten. Available in sizes M-4XL. Ringer tee that says, "Friends help you move...Real friends help you move bodies!" And isn't that the truth. T-shirt is gray with navy contrast. 90% pre shrunk cotton.